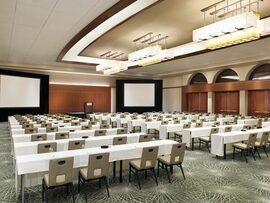 Our expertise is providing a comprehensive, strategic approach to corporate meetings and events with a focus on results and return on investment—from assessment and planning to execution, marketing, cost management, and evaluation. The reality of planning a conference is that, without any experience, you can lose a lot of time over-thinking each little detail while overlooking more important issues. To make the process simpler for first-timers, I have outlined the most important steps and will provide you links to more detailed walk troughs on each particular subject.